You may think that CD-ROM technology is reaching the end of its day, but you are only partially correct. While drives have reached the limit of 52x, the physical limit that CDs can spin at without exploding into millions of shards inside your drive, there is still head room for drives to improve. With prices continuing to drop and added features like DVD compatibility, Mt. Rainier, over burning, increased rewriteable speeds and external slim form factor drives, the market is far from stagnant. 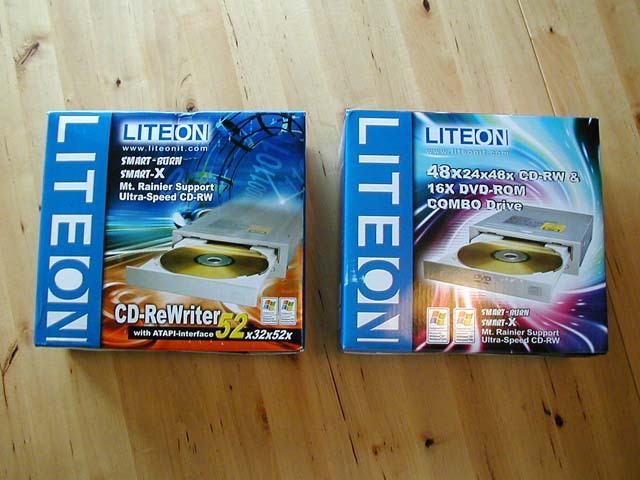 Here today we have two new offerings from Lite-On. First up, an exclusive preview of their brand new LTR-52327S 52x32x52 CD-RW. Following that, a look at their jack of all trades LTC-48161H 48x24x48x16 Combo CD-RW/DVD drive.